The S&C Research review service comes out on the first day of every month. Here is a preview of the May 2017 edition, which comes out next Monday. Each edition covers a wide range of the latest S&C, biomechanics, exercise physiology, and physical therapy research, but this edition has a special theme of the Squat! The study: Sinclair, J. K., Brooks, D., & Atkins, S. (2017). An examination of the hamstring and the quadriceps muscle kinematics during the front and back squat in males. Baltic Journal of Health and Physical Activity, 9(1), 37-45. 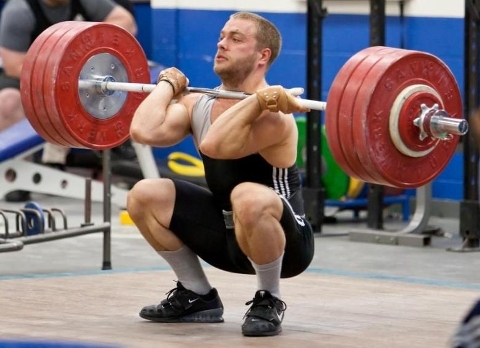 The researchers compared the effects of the back squat and front squat on trunk, pelvic, hip, and knee joint angle movements and on changes in length of the hamstrings and quadriceps muscles, in young males with 6.55 ± 2.11 years of experience in the squat exercise, a 122.7 ± 16.4kg 1RM back squat, and an 88.7 ± 13.9kg 1RM front squat. The subjects did 5 reps of the back squat and 5 reps of the front squat, in each case with 70% of front squat 1RM, using their normal back and front squat technique. Surprisingly, joint angle movements at the trunk, pelvic, hip, and knee were very similar between the back and front squats. The changes in muscle-tendon lengths were also very similar. Although there were no differences between the back and front squats, there were differences between muscles in each group. Within the quadriceps, the rectus femoris lengthened much less than the other quadriceps. These findings indicate that the back and front squats are perhaps more interchangeable in training programs that some commentators might claim. The study: Fuglsang, E. I., Telling, A. S., & Sørensen, H. (2017). 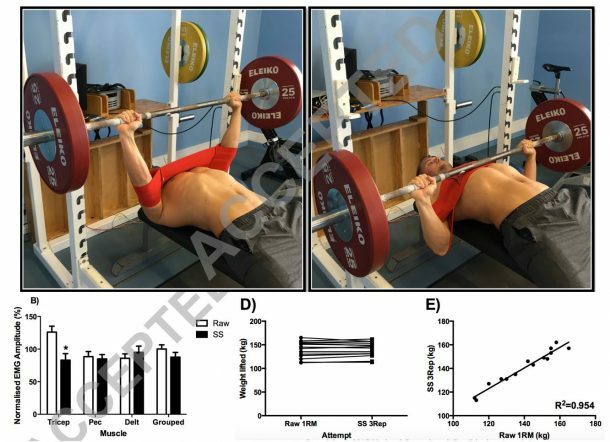 Effect Of Ankle Mobility And Segment Ratios On Trunk Lean In The Barbell Back Squat. The Journal of Strength & Conditioning Research. The researchers assessed whether possessing a greater dorsiflexion range of motion (ROM), as measured by the weight-bearing lunge test, leads to a lifter using a more upright trunk in the parallel, high-bar back squat, among young males with 4.1 years of experience in strength training, and a self-reported 1RM of 136.8 ± 24.4kg. There was a moderate relationship between maximal dorsiflexion in the weight-bearing lunge test, and the dorsiflexion in the back squat (R2 = 41%). Additionally, there was a moderate relationship between maximum dorsiflexion in the weight-bearing lunge test and trunk angle in the back squat (R2 = 45%). This demonstrates that those subjects who had greater dorsiflexion ROM also tended to use a more upright trunk position in the back squat, although not all of the variance was explained. The weight-bearing lunge test can therefore be used to help identify whether excess trunk lean in the back squat is caused by inadequate ankle mobility. The study: Diamond, L., Bennell, K., Wrigley, T., Hinman, R., O’Donnell, J., & Hodges, P. (2016). Squatting biomechanics in individuals with symptomatic femoroacetabular impingement: Unconstrained and constrained tasks. Osteoarthritis and Cartilage, 24, S100-S101. The researchers assessed how hip and pelvic joint angles differ between individuals with and without femoroacetabular impingement (FAI) during the performance of (1) an unconstrained full squat, and of (2) a constrained squat. Both types of squat were performed while wearing standardized footwear, standing on a 30-degree foam wedge (to raise the heel), with the feet parallel, and shoulder-width apart, and with the arms held out in front. 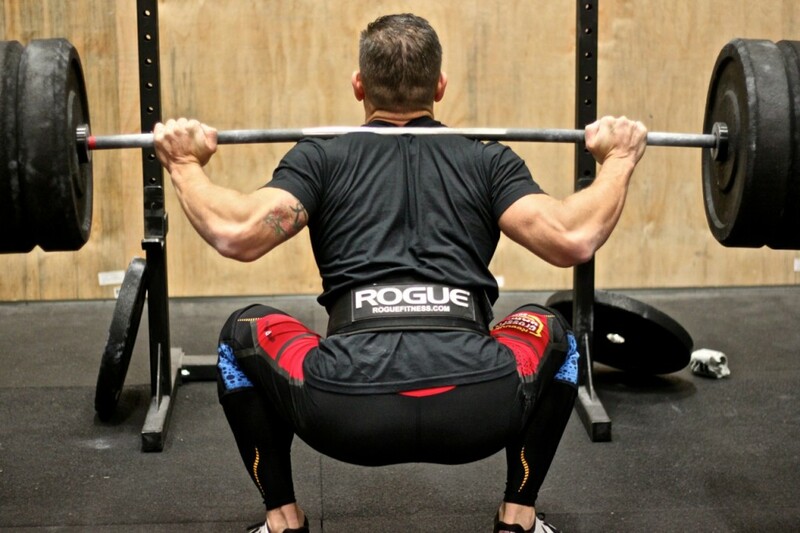 The squats were done to a self-selected depth (but the instruction was to squat as deep as possible) and the bottom position was maintained for 3 seconds before ascending. The constrained squat differed in that it was performed facing a pole that served as a visual cue to keep the trunk upright during the descent phase. Surprisingly, the majority of measurements taken during both squat tasks were similar between the 2 groups. In the FAI group, the ipsilateral side of the pelvis (the side of the FAI) at the point of maximum squat depth did not descend as far as the controls in the unconstrained squat (by 2.3 degrees) and in the constrained squat (by 2.4 degrees). In addition, in the constrained squat, the FAI group used a greater hip adduction angle (by 2.6 degrees) and a smaller hip external rotation net joint moment. The researchers therefore concluded that subjects with symptomatic FAI can squat to a similar depth as controls with minimal joint angle movement changes, regardless of whether the squat involves a cue to keep the trunk upright or not.